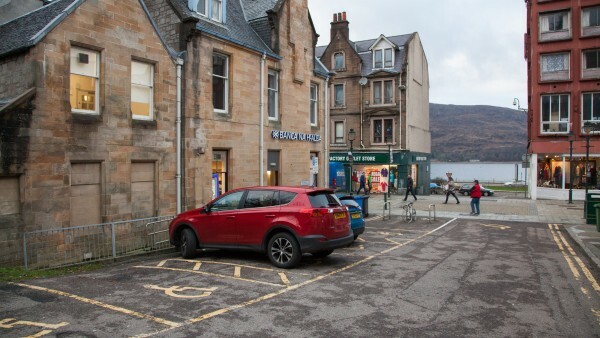 Fort William is one of Scotland’s largest tourist and outdoor activity locations. The principal town of the North Western Scottish Highlands and commercial centre of Lochaber, Fort William is located 102 km (65 miles) west of Inverness, 171 km (107 miles) north of Glasgow and 208 km (130 miles) north-west of Edinburgh. On the shores of Loch Linnhe Fort William is known as the ‘Outdoor Capital of the United Kingdom’. 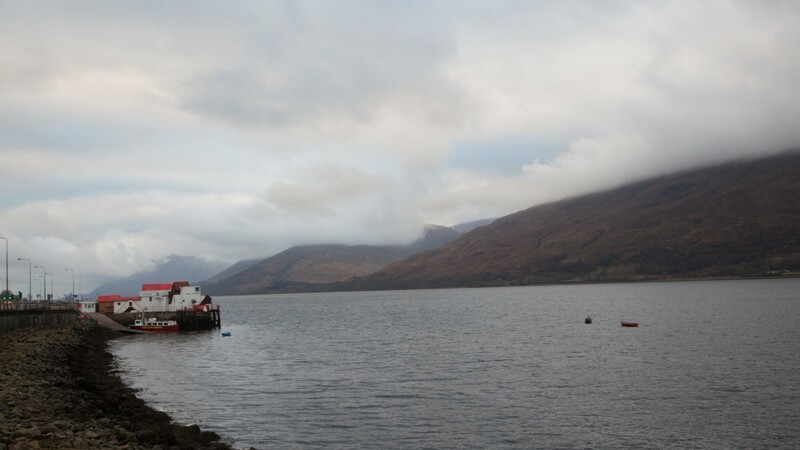 It is the gateway to Ben Nevis, the United Kingdom’s highest peak with a summit elevation of 4,406 feet above sea level, and boasts one of the most enviable and scenic settings in the whole of Scotland. The town benefits from significant tourist trade all year round with climbers, mountain bikers, skiers and walkers taking advantage of its unique terrain when the population can swell to approximately 500,000 people. 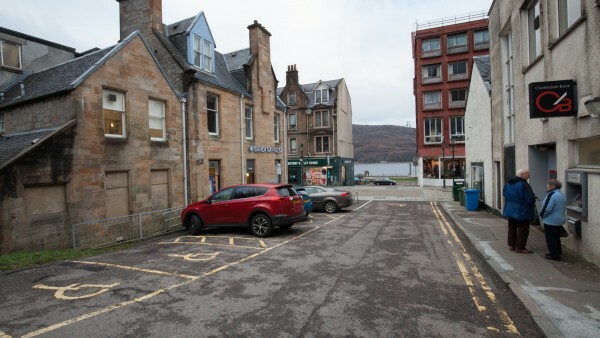 The successful development of Nevis Range ski resort in the 1990’s began to establish the town’s tourist appeal plus winning and retaining ever since the Mountain Bike World Cup continues to greatly assist the local economy. 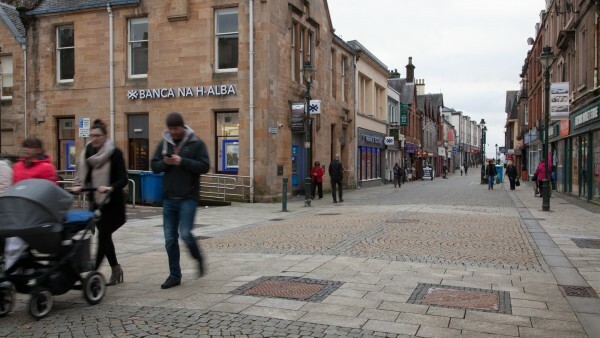 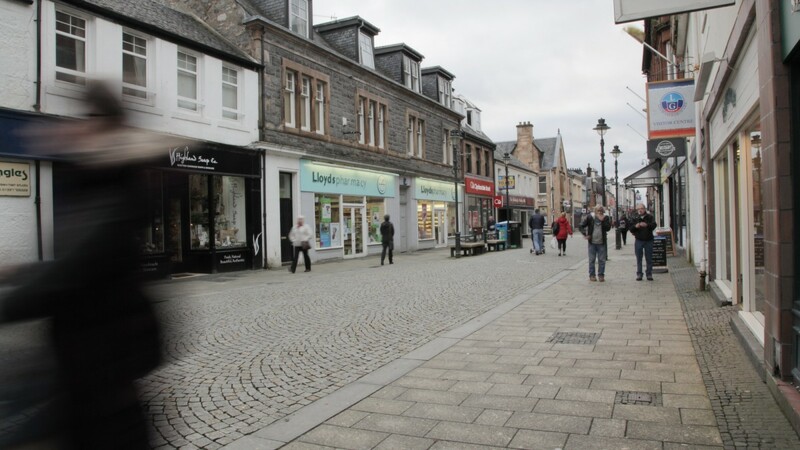 Fort William is also a high profile film location with movies filmed in or near the town including Braveheart, Highlander, the Harry Potter series and Rob Roy. 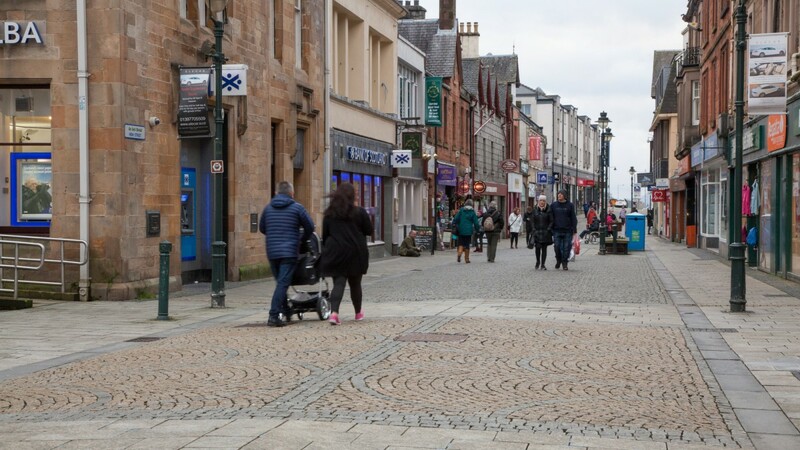 The property is situated in a prime position on the High Street, the principal pedestrianised retail pitch for the town. 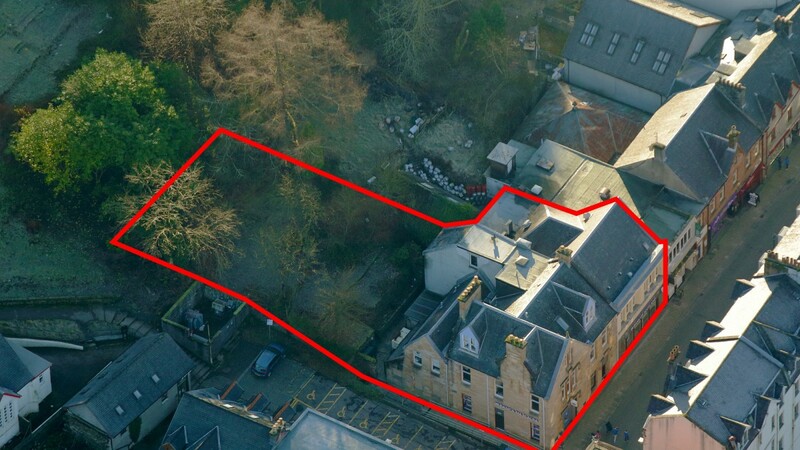 The property occupies a highly prominent corner position with return frontage to Monzie Square. 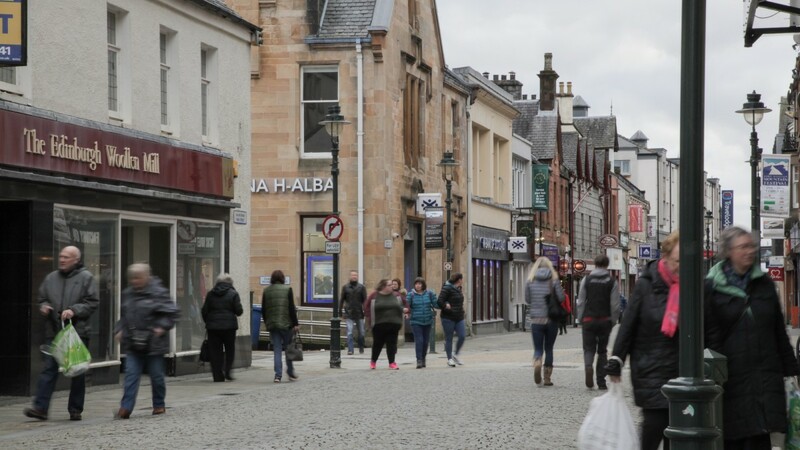 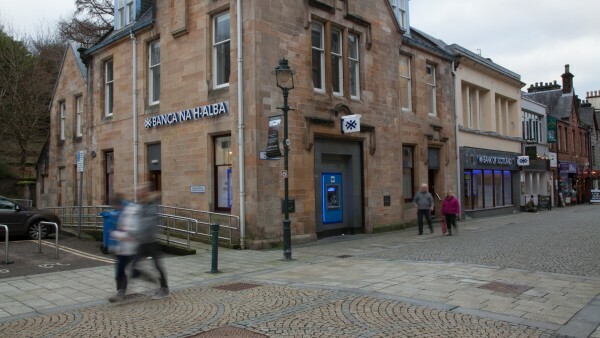 The surrounding occupiers includes a blend of multiple and local retailers with Boots, Edinburgh Woollen Mill, Fat Face, Lloyds Pharmacy, Clydesdale Bank, House of Scotland, Field & Trek and WH Smith all represented. 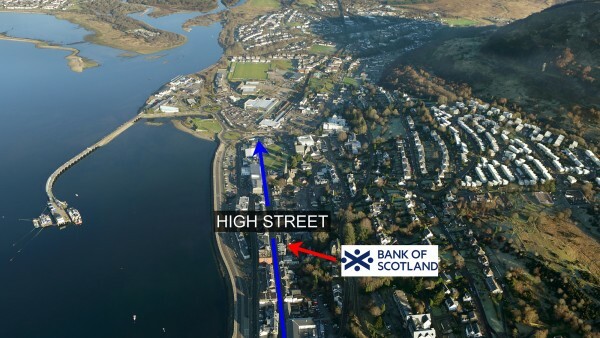 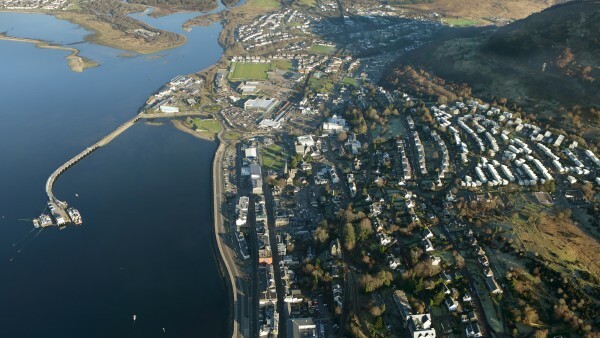 The town benefits from a large shopping catchment that encompasses a significant area including many of the adjoining islands. 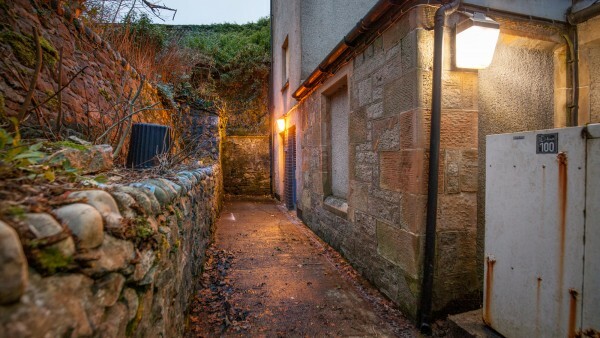 Comprising a highly attractive two storey property of stone construction built in approximately circa 1920. 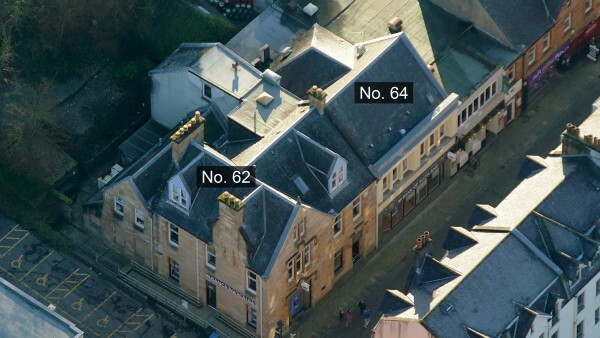 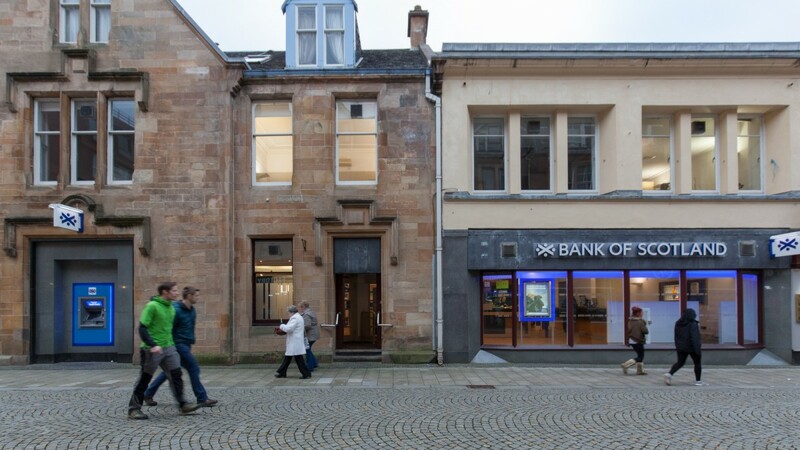 The original bank building is 62 High Street; 64 High Street was acquired by the bank for expansion in 1988. 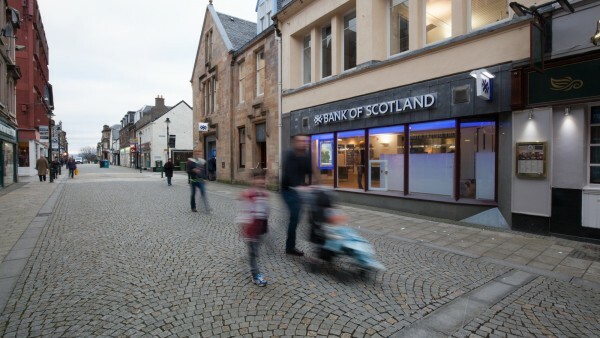 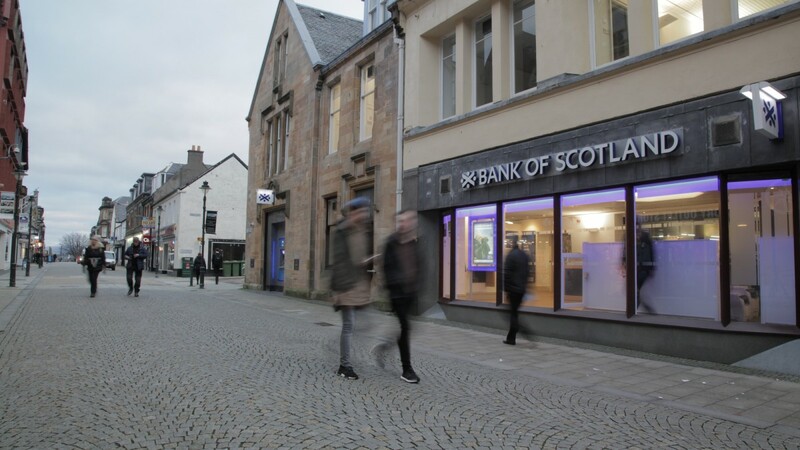 Internally, the property is fitted out to Bank of Scotland’s corporate image with fixtures and fittings consisting of suspended ceilings with recessed flurescent lighting and air conditioning cassettes, plastered walls and a mixture of carpet and laminate flooring. 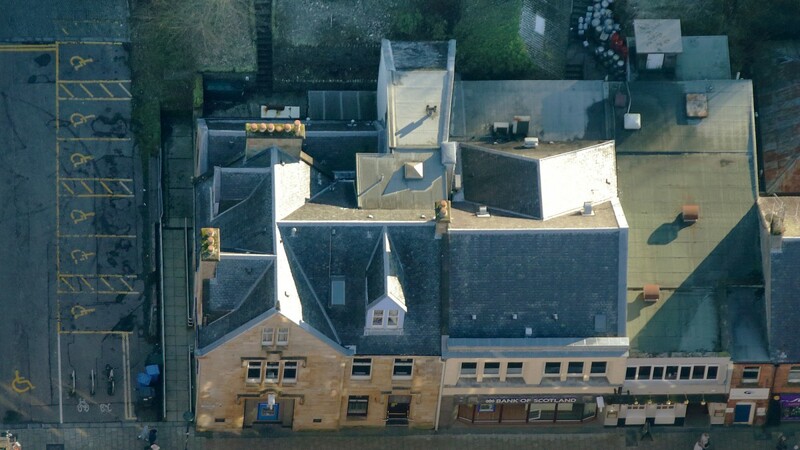 The property is configured with a large banking area together with various office / meeting rooms and to the rear various staff and various storage rooms and WC’s. 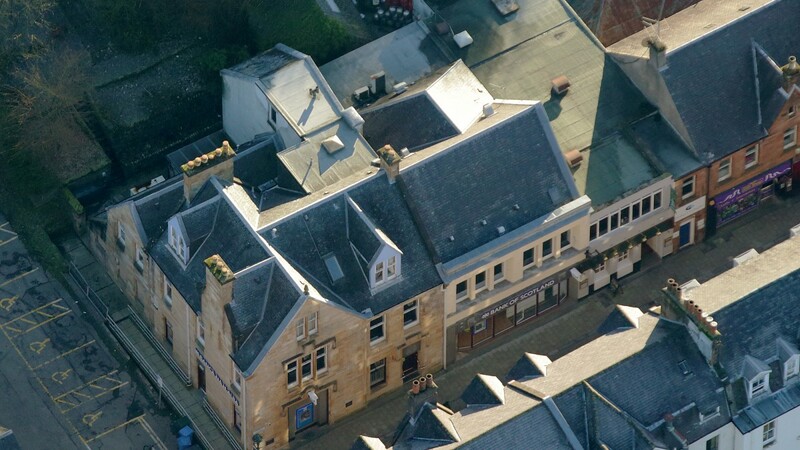 Further accommodation on the first floor comprises additional offices and storage accommodation. 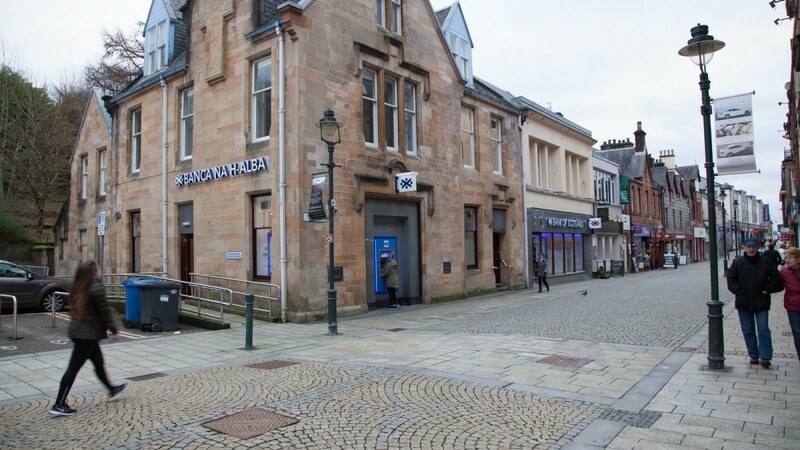 There is a self-contained residential flat on the second floor accessed via a separate entrance from the bank and comprises two bedrooms, living room, kitchen and bathroom. We understand the manager of the bank occupies the flat. 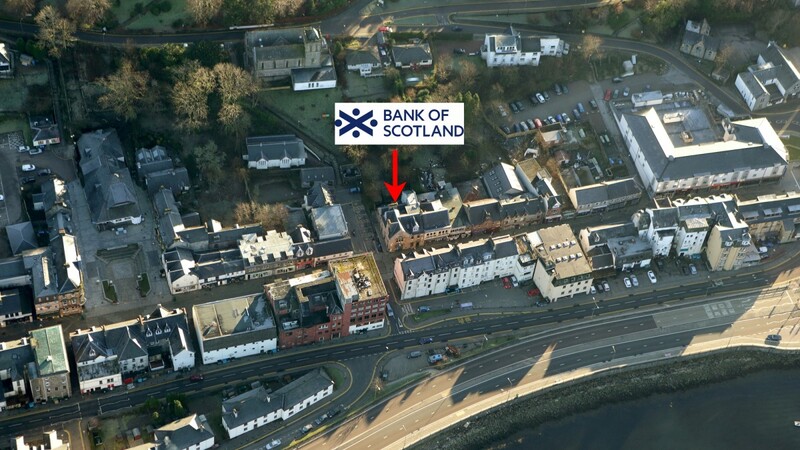 The property is let to Bank of Scotland plc from 29th December 2016 until 28th December 2031 providing 13.25 years term certain at an initial rent of £51,500 per annum, upon full repairing and insuring terms. The lease benefits from an upwards only rent review on 29th December 2021 and 29th December 2026. 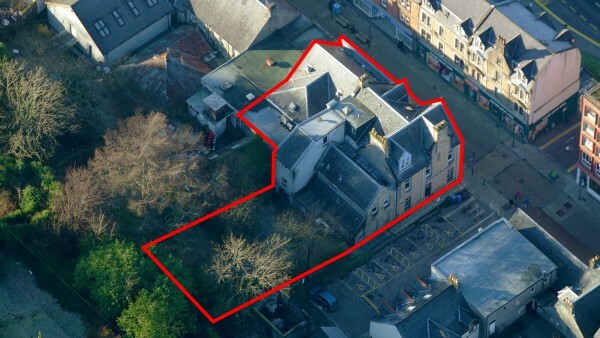 We are instructed to seek offers of £850,000 (Eight hundred and fifty thousand pounds), subject to contract, reflecting a net initial yield of 5.75% after purchasers’ costs of 5.15%. A purchase at the asking price will provide an investor with an attractive net initial yield for a highly secure and attractive heritable investment.